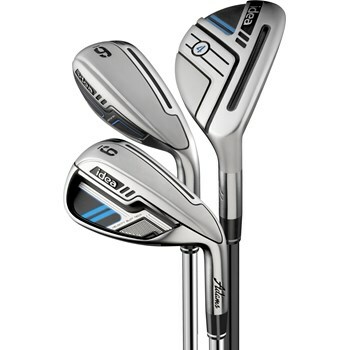 • Re-designed Cut-Thru Slot design in the hybrids makes ball speed and launch high with maximum distance. • Wrap-around slot expands the sweet spot for more speed on off-center shots as well as center shots. • ABC set configuration patent, long irons are replaced by easy to hit hybrids, transitional hybrid irons bridge the distance gap between the cavity-back scoring irons around the green.